As many eye conditions are not apparent until it is too late, it’s important to get eyes checked regularly. 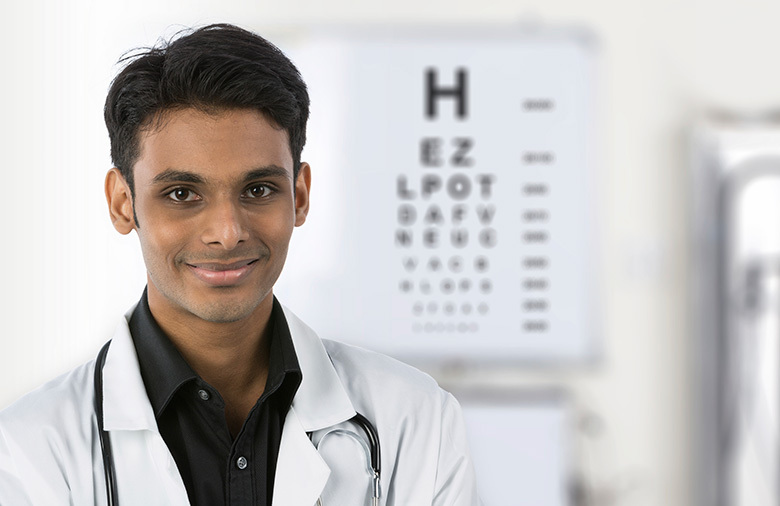 To help people remember the importance of eye tests, August has been named National Eye Exam Month. To help prevent loss of vision, adults ages 40 – 65 should have their eyes checked every 2 to 4 years – and at least every 2 years for people who are older, according to vision experts. Unfortunately, even common daily occurrences – such as too much time spent in front of a computer screen – can cause permanent eye damage. In fact, nearly 10 million visits to the doctor each year are from computer vision syndrome (CVS). Experts say that spending more than 2 hours per day looking at a computer screen increases chances of developing CVS by 90%. Age-related macular degeneration – Damage to part of the retina over time that erodes sharp, central vision. Glaucoma – Significant pressure within the eye. Diabetic Retinopathy – Damage to blood vessels in the retina caused by diabetes. Eye Injuries – Sports and work related injuries can cause blindness. Green, leafy vegetables – contain antioxidants like Vitamin C, lutein and zeaxanthin that can help lower the risk of macular degeneration and cataracts. Eggs – contain antioxidants like lutein and zeaxanthin, plus zinc to reduce the risk of macular degeneration. Orange fruits and vegetables – contain beta-carotine, a type of Vitamin A that helps protect the surface of the eye. Citrus and Berries – contain Vitamin C, which can reduce the risk of macular degeneration and cataracts. Almonds – contain Vitamin E, which can slow macular degeneration. Fatty fish – contain DHA, which can help prevent dry eye syndrome. Try to avoid fatty junk foods like potato chips, margarine and French fries. If you prefer to see all of these details in a colorful and informative visual format, review our My Medical Forum infographic entitled Opening Your Eyes to Healthy Vision.